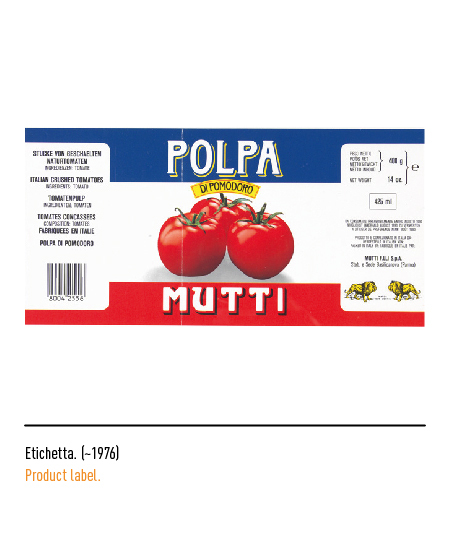 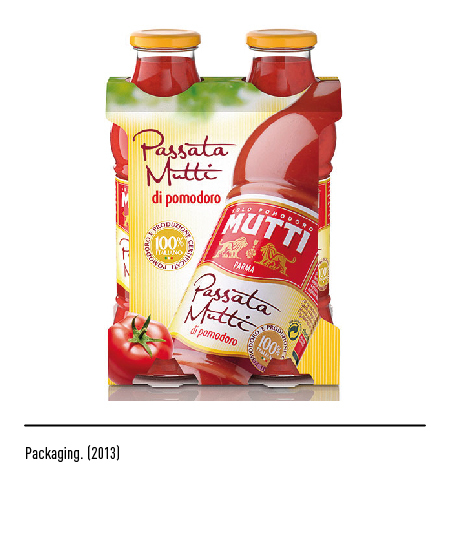 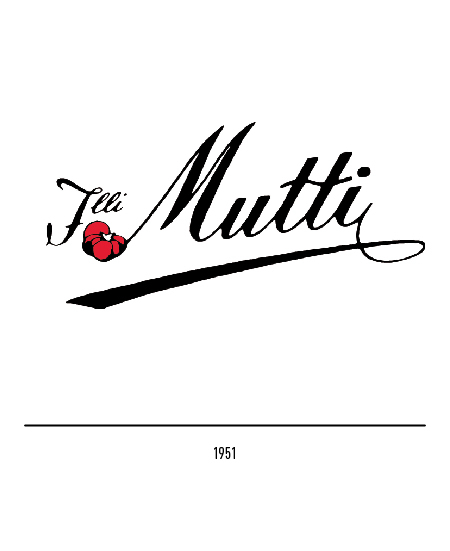 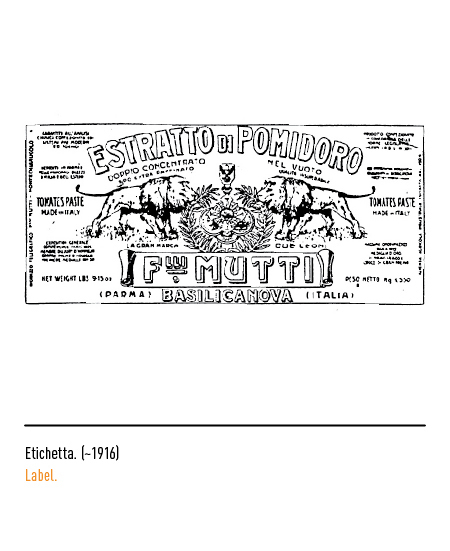 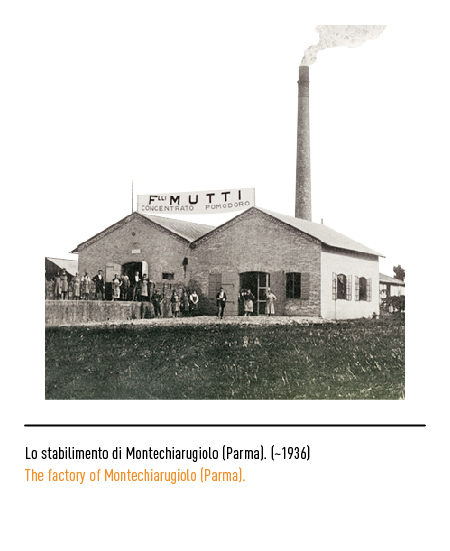 Mutti started as a small family-owned business in 1899, producing tomato paste in Basilicanova, hamlet close to Montechiarugolo (Parma). 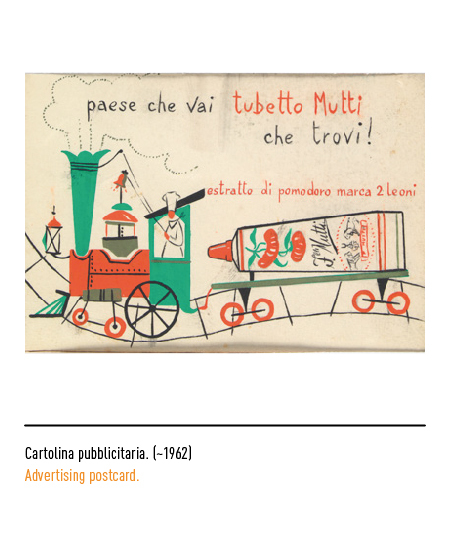 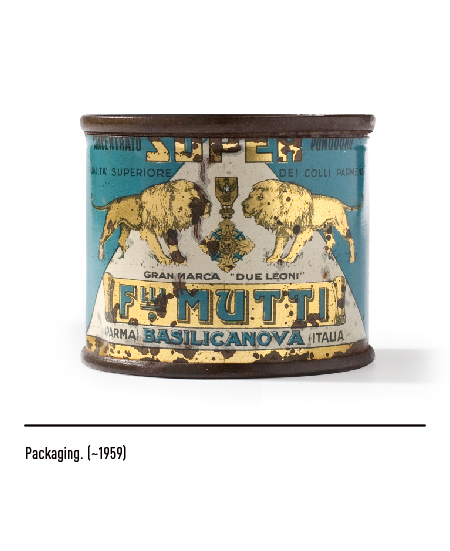 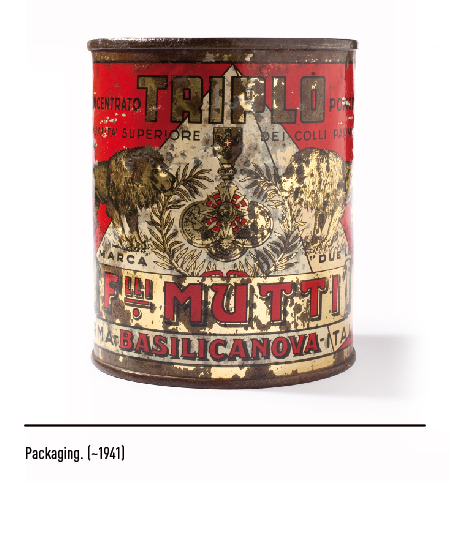 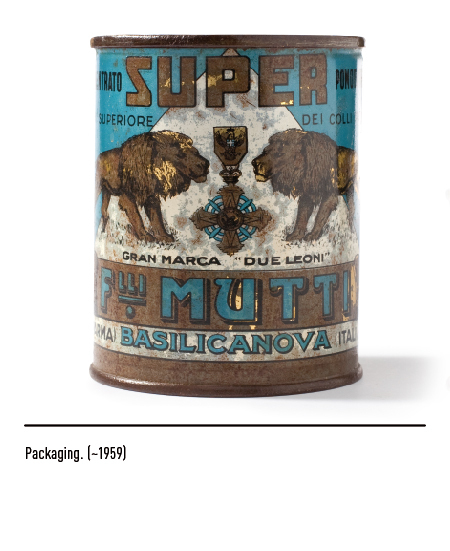 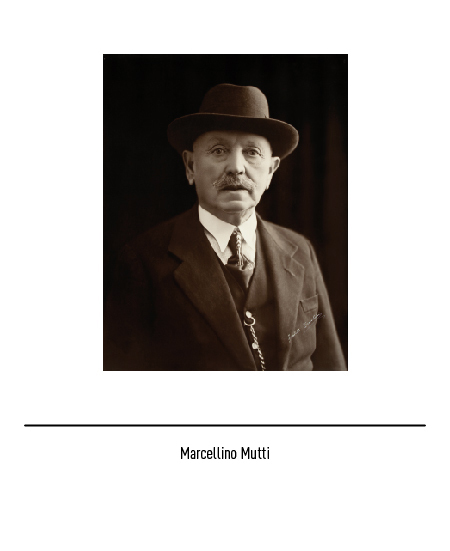 The founder, Marcellino Mutti, farmer's son and farmer himself, committed himself completely to the company and the first satisfactions came in 1911: the golden medals received where successively printed on every tin, increasing the calibre of the product and the glamour of the brand. 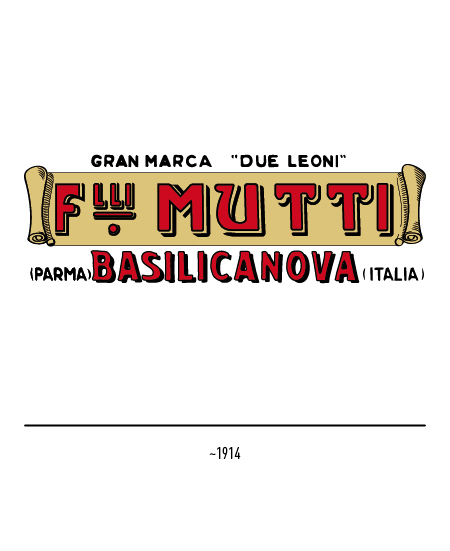 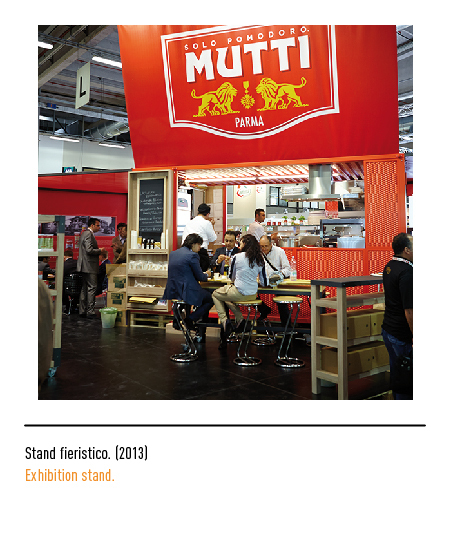 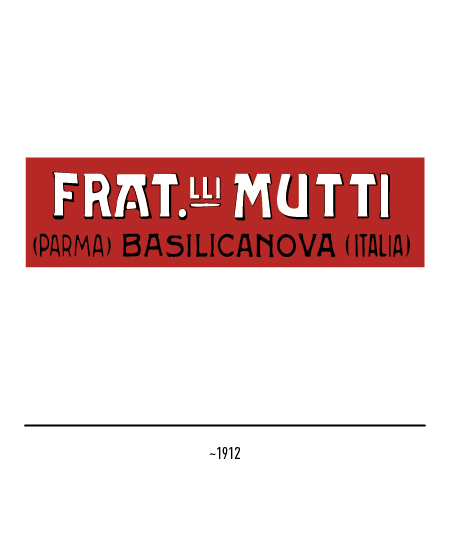 The first logos are reported to feature the nomenclature "Fratelli Mutti" in the abbreviated variants typical at the time. 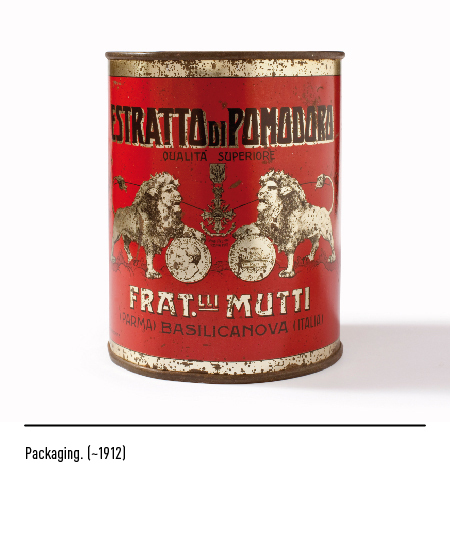 The tin, on the other hand, was decorated with two golden lions on either side of the medal on red background (originally, the company was known as "great brand two lions"); on some tags, the medals and the name of the town in which the company had been founded (Basilicanova) were decorated with palm branches. 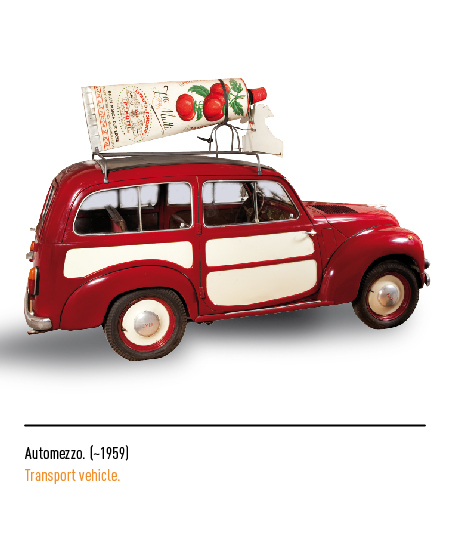 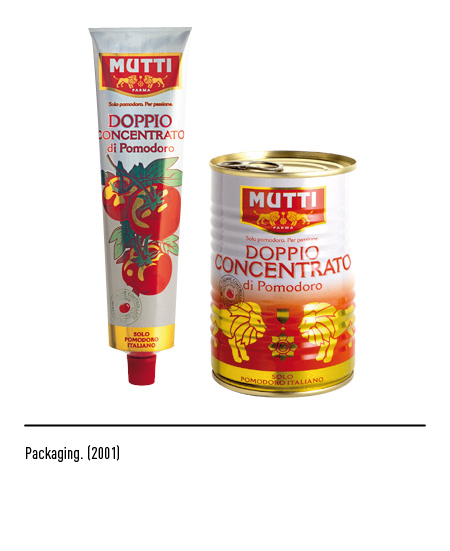 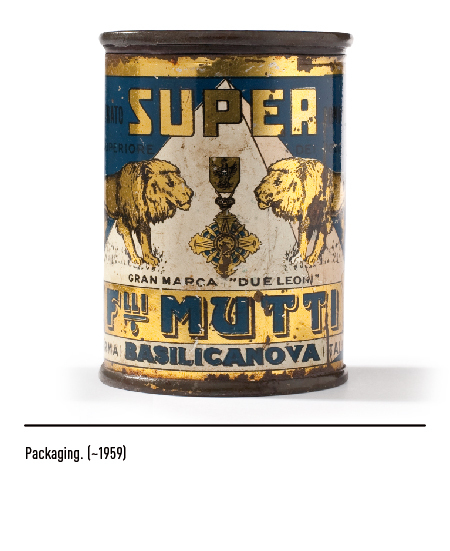 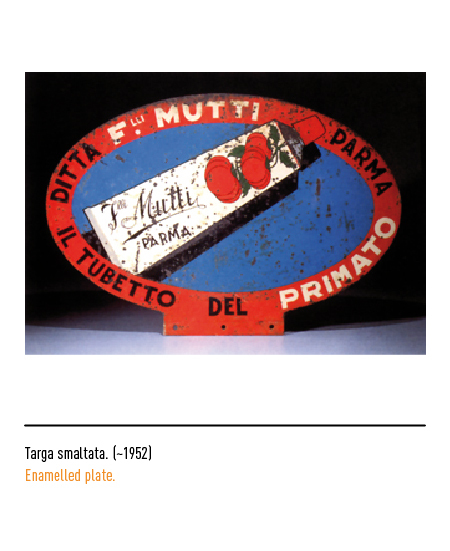 The real fame was achieved in 1951, when Mutti launched on the market the new tomato paste inside an aluminium tube, featuring the new brand which consisted of a red tomato; at the start, consumers were sceptical about this new introduction, due to the shape being constantly associated with toothpaste. 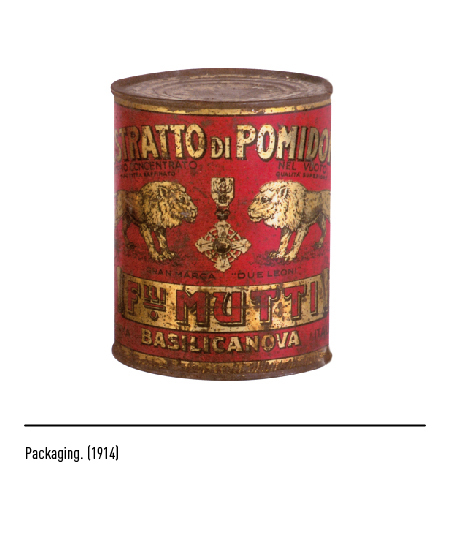 But after a while people caught on with the innovation and found a lot of benefits in the storage and use of the new container. 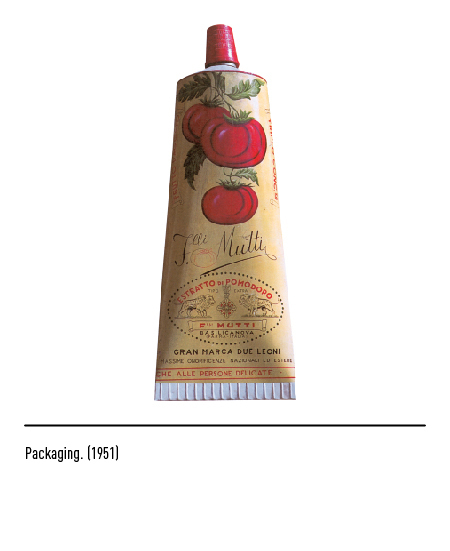 It was nicknamed "thimble tube", due to the red thimble which closed it, at the time widely used for sewing. 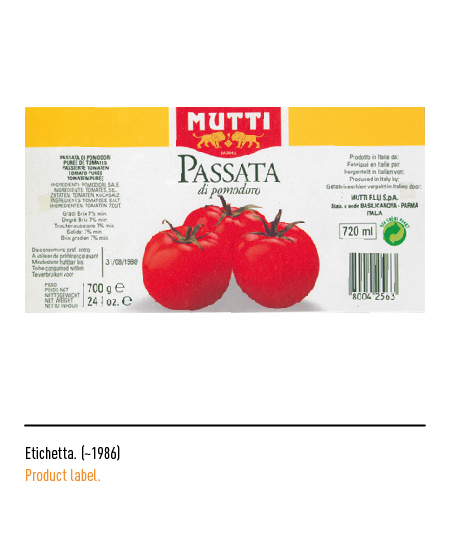 In the late Sixties the company introduced yet another innovation on the market, this time a new product: the tomato pulp; the secret was in having finely chopped the tomato making it juicier and ready to use. 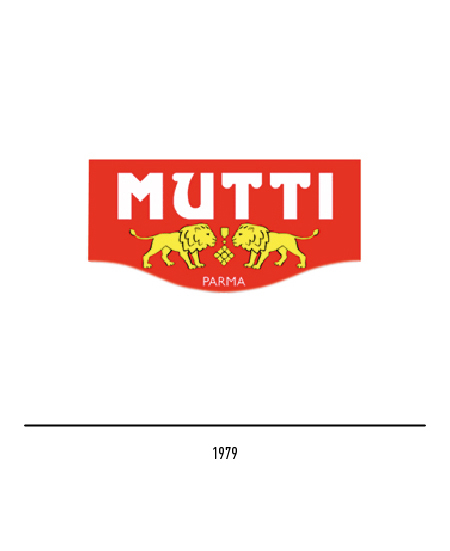 In 1979 the company enters the stock market, and to celebrate, decides to re-style the logo: a red rectangle with a round side, paired with the two yellow lions and the name of the company. 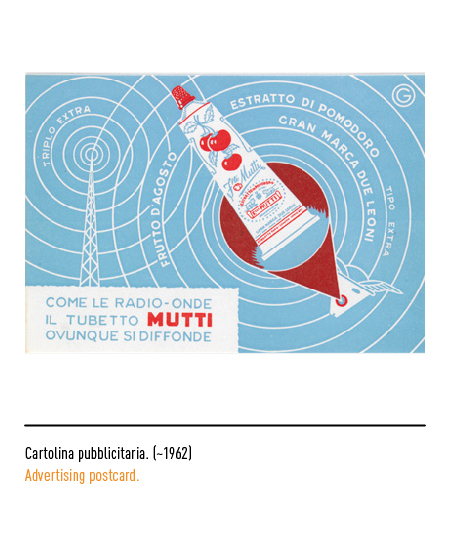 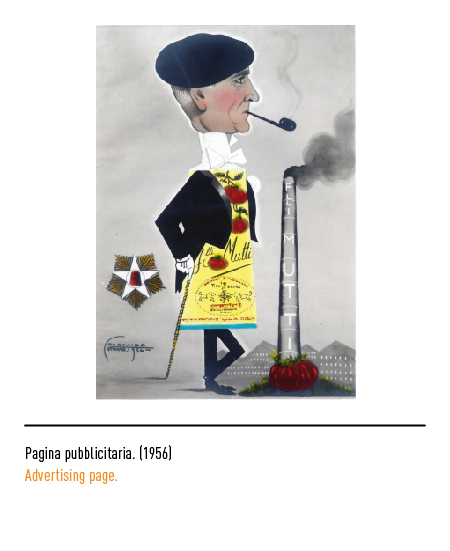 Throughout the years the advertisement has always been the first priority for the company in order to win over the customers: funny tv-ads, numerous billboards around the cities and press reviews. 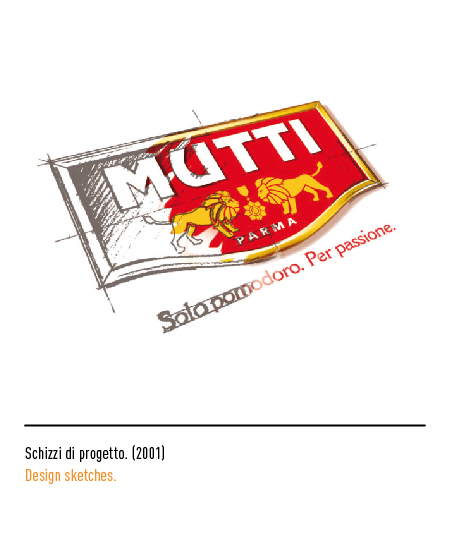 In 2001 the company has decided to change the logo and the packaging giving the task to the agency Vittorio Mancini & Associati in Milan. 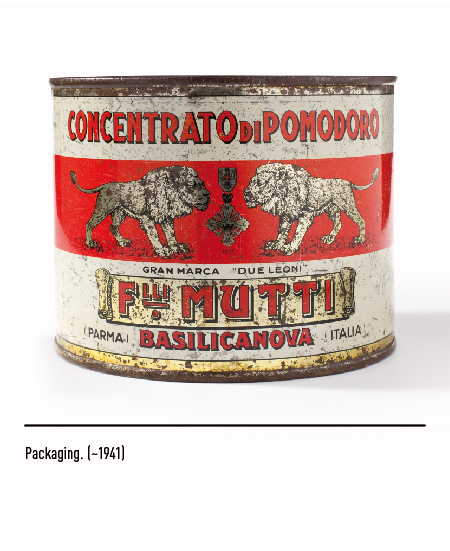 The new packaging still features the original logo with the lions, this time a little better defined, with the pay-off "Solo pomodoro. 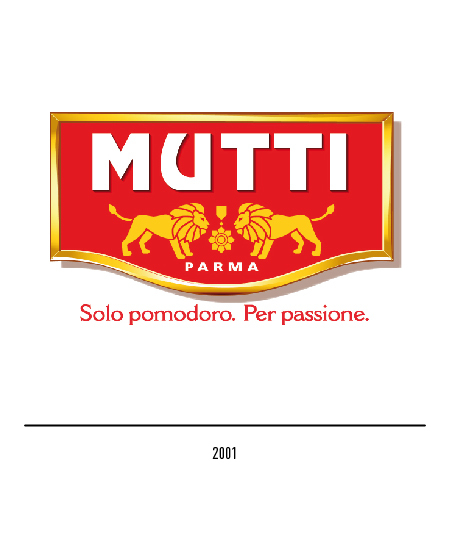 Per passione." 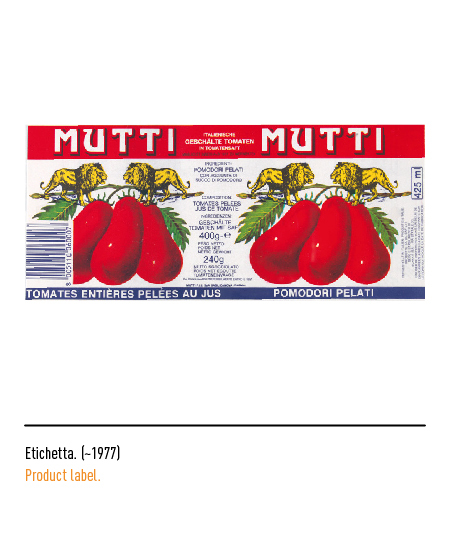 (Only tomato. 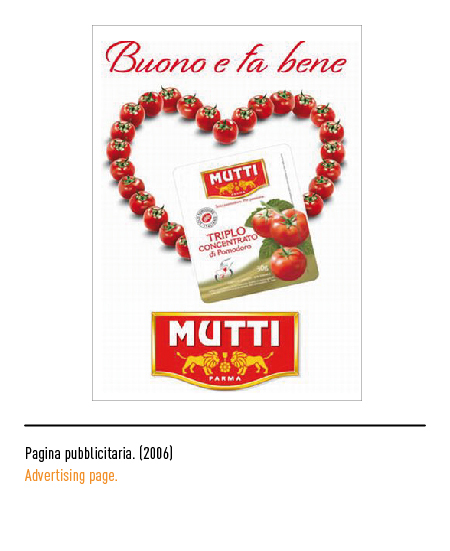 For passion), which is also the mission of the company. 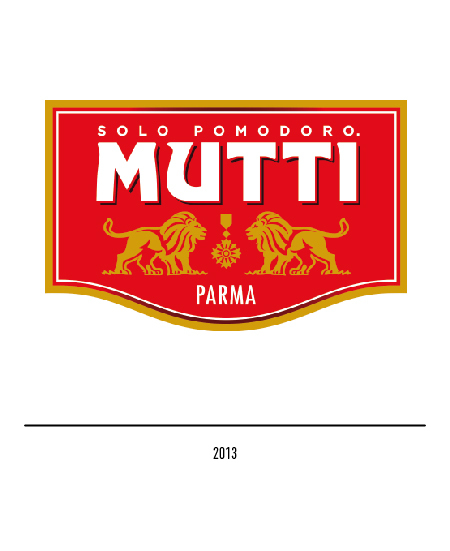 The last restyling took place in 2013, through the Robilant agency of Milan; the pay-off is reduced to "Solo pomodoro." 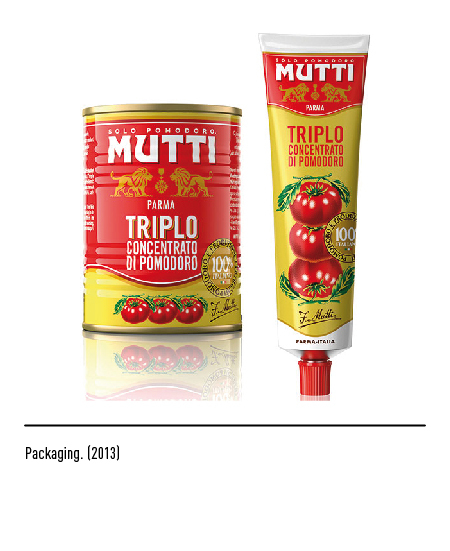 (Only tomato) and included inside the logo, with the two lions this time fully defined: the perfect union of tradition and innovation.